You must be a member of the Budapest Reader Circle Group to attend this activity. Would you like to join this group? 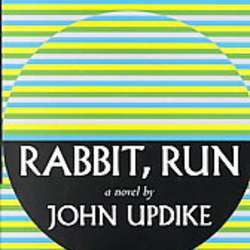 Rabbit, Run is a Protected content by John Updike. The novel depicts three months in the life of a 26-year-old former high school basketball player named Harry "Rabbit" Angstrom who is trapped in a loveless marriage and a boring sales job, and his attempts to escape the constraints of his life.